This Article Was Live On: At 1:30:00 AM And Till Now HaveNo comments. It’s that time of the year when Tamilians welcome their new year and celebrate the day with great pomp and delicious south Indian cuisine. 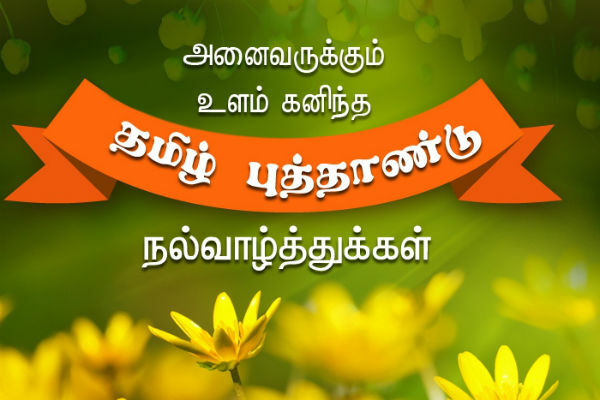 The Tamil New Year, popularly known as Puthandu, is observed on the first day of the Tamil month Chithirai. The date of the new year depends on Sankranthi and when it takes place after sunrise and before sunset, it falls on the same day. However, if Sankranti takes place after sunset then the year begins on the following day. Although, with the times changing and people getting too occupied with their work and busy lifestyle, not everyone has the time and opportunity to get together with their loved ones to celebrate the occasion. Especially those who live far away from their family and friends. But no worries, we have clubbed some of the most wishes and message cards that you can send to your loved ones, to show that you care.